Outfit posts on here are a kind that have recently been lacking on the blog unfortunately, I hope them to resume soon. However a place where you can see my style in sights and daily dosage's of fashion is over on my Instagram. I tend to post my outfits of the day's over on that platform and I thought a good post idea to makeup for the lack of fashion recently would be to combine all of my recent outfit posts and compile them into one post. I love your style! This post has made me want to update my wardrobe! Thank you lovely, you too. You're totally right! They're just amazing. Thank you lovely, of course. I love all of these outfits- so simple and easy to wear! 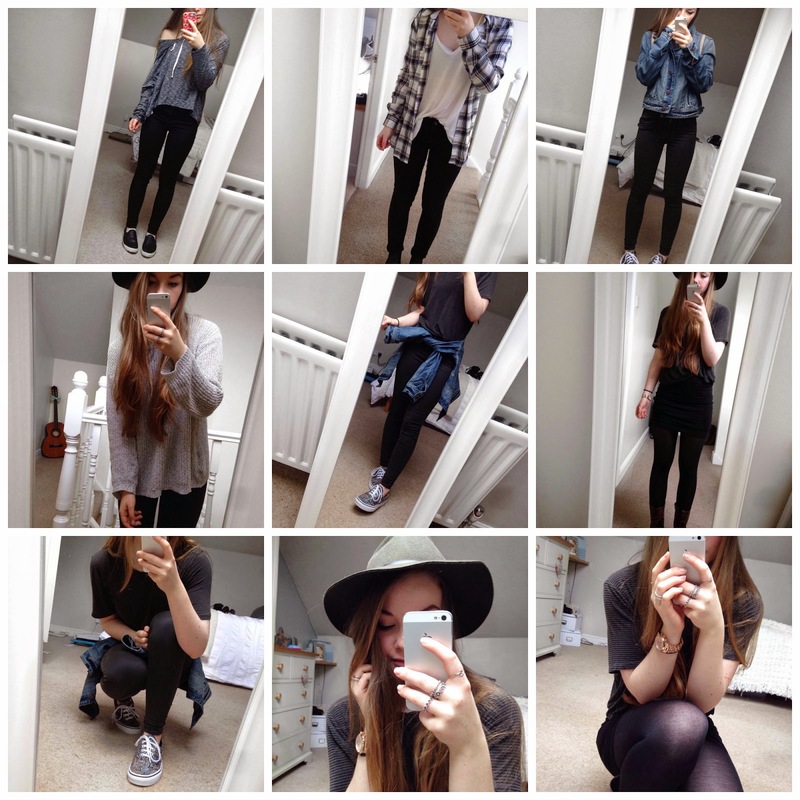 These outfits are lovely - I'm so jealous of your style!